Choose this stylish and plush Wall Saver recliner and you'll be providing your home with a incredibly comfortable piece that will last for years to come. This Wall Saver recliner is a specially upholstered piece that allows you to position your recliner just inches away from the wall without risk of damaging furniture or scratching the wall, an excellent choice for more compact spaces. 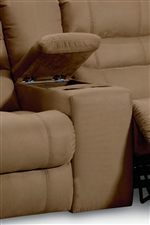 The plump back and chaise cushions adorning this recliner are guaranteed to softly cushion your body while you lay back and lounge. 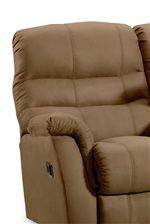 This recliner is also available with power recline. 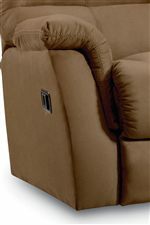 The Garrett Casual Garrett Wall Saver® Recliner by Lane at AHFA in the area. Product availability may vary. Contact us for the most current availability on this product.